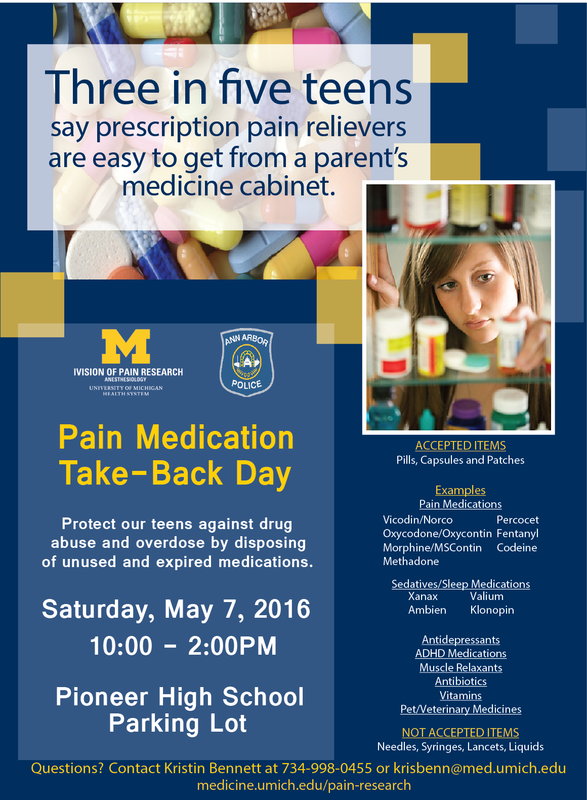 The Division of Pain Research (Department of Anesthesiology) and Ann Arbor Police Department are partnering together on Saturday, May 7, 2016 to keep our teens and children safe. Please take a few very important minutes and participate in our drive against a very frightening but real trend.  Prescription drug abuse is on of the fastest growing trends among our young teens today and is the second most abused substance behind marijuana. Many teens mistakenly view prescriptions as a medically safe way to get high. Pain relievers, such as OxyContin and Vicodin are most commonly abused and teens can get these easily from their homes.